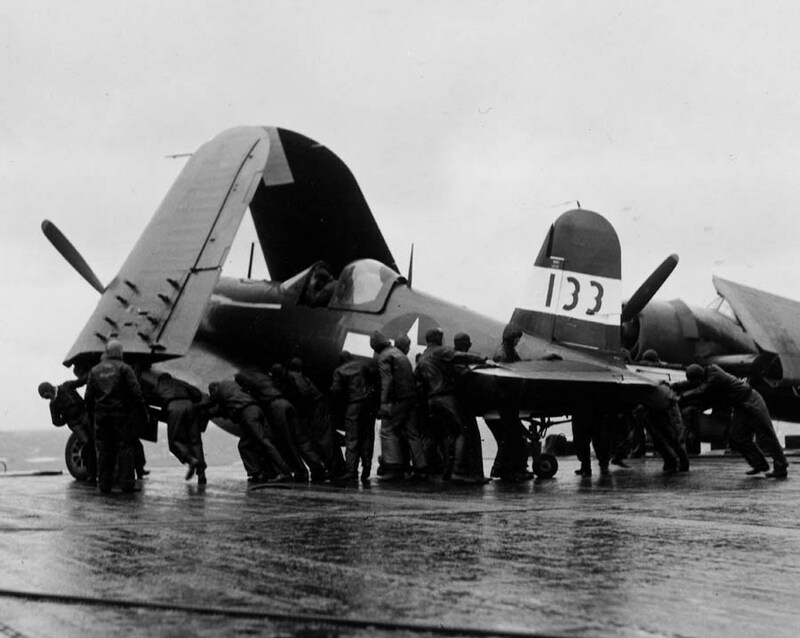 » F4U-1D Corsair with Marine Squadron 216 aboard USS Wasp (Essex-class) being moved onto the deck-edge elevator on its way to the hangar deck following a strike against targets in and around Tokyo, Japan, Feb 17, 1945. This photograph has been scaled down; full resolution photograph is available here (900 by 718 pixels). Licensing Public Domain. Please support Robert Marshall, Jr. and John Kemper's effort with their VMF216.com project.